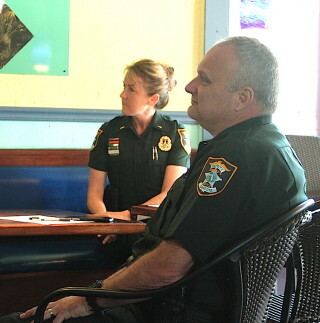 In response to continuing complaints from condominium owners who live across Beach Road from parking spaces on the street that are parallel to Siesta Key Public Beach, Sarasota County Sheriff’s Office personnel have “been very pro-active” about checking on people using the picnic tables next to those spaces, Lt. Debra Kaspar of the Sheriff’s Office told members of the Siesta Key Village Association (SKVA) during their regular meeting on March 1. “It’s going to be hard to work with their perception of what’s gong on and the reality of what’s going on,” Kaspar added, referring to residents. For example, the previous evening, she continued, deputies spoke with three people who had come up from the beach to the picnic area on the north end of the park. All were adults from Pennsylvania, she added. Sheriff’s deputies cannot insist that people using the shelters take Breathalyzer tests, Kaspar continued, “We can’t tell them to leave. We can’t ask for identification. [But] we’ve been very successful there in the past” in engaging people in conversation and asking them to move on. 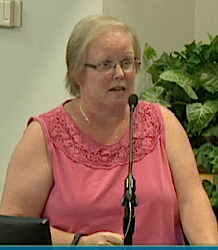 Parr was among seven speakers who addressed the Sarasota County Commission on Nov. 10 about late night noise and disruptions at the northern end of the beach park, saying the commotion has proved disturbing to Sunset Royale residents and those in the adjacent Crescent Royale condominiums, located at 777 Beach Road. Having come in after the SKVA session began, Parr told the News Leader he missed hearing Kaspar’s remarks. “I don’t know what’s being embellished and what’s not,” he added. Along with people being disruptive at the picnic shelters at night, he continued, “we’re getting a lot of [foot] traffic in our building now,” with people looking for restrooms. Several of the speakers at the Nov. 10 County Commission meeting complained about beachgoers urinating and defecating in public because restrooms in the beach park are not close to the Beach Road parking spaces. 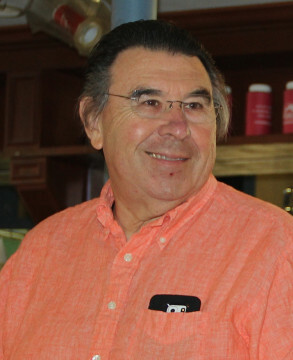 Michael Shay, president of the Siesta Key Association (SKA), reminded SKVA Vice President Mark Smith — who was presiding in the absence of President Wendall Jacobsen — that he and Smith had met with some of the residents of Crescent Royale and Sunset Royale about two months ago to discuss their complaints. Shay added that he spent about 20 minutes on the phone the previous night with a woman who lives in one of the complexes, noting that a Sarasota County employee had given the woman his number, the woman told him, after the woman tried unsuccessfully to reach a county commissioner. “There are some reasonable residents,” Kaspar pointed out. However, one woman has put comments Kaspar has made “in a different context,” Kaspar said. “You become part of the solution in order to take care of it,” Kaspar added. The Beach Road spaces next to the beach park are also open 24 hours a day, seven days a week, Shay explained, and the picnic areas are always available. “Alcohol is OK [at the shelters, too], he noted. 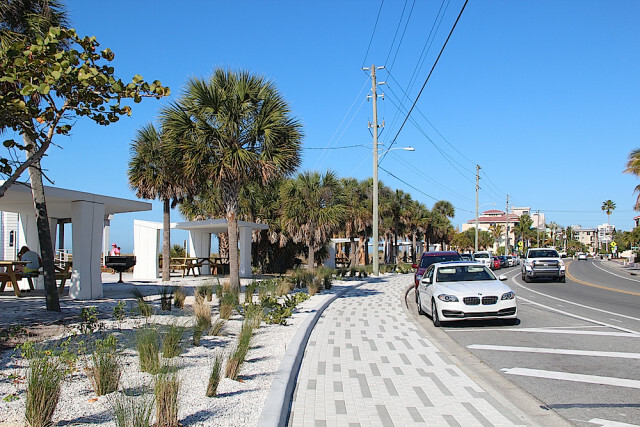 During the Nov. 10 County Commission discussion, commissioners suggested owners of units at Crescent Royale and Sunset Royale work through the county’s Traffic Advisory Council (TAC) to seek changes to the regulations for the Beach Road parking spaces next to the public beach park. During the TAC’s Dec. 14 session, Diane Hessler appeared during the public comments portion of the meeting to ask for help. Chair Ken Swartz recommended that she speak with John Sharp, the council’s county liaison who is an employee in the Traffic Engineering Department. After the March 1 SKVA meeting, Parr told the News Leader that someone at Crescent Royale did start a petition initiative for TAC consideration but gave it up. “They felt they were getting nowhere,” he said. Sunset Royale’s homeowners association board — on which he serves — was scheduled to meet this week, he continued, so he planned to take up the matter then. “I am pushing them very hard to get this done,” he added of the TAC petition drive. He explained that because only residents can sign a petition required to bring a matter before the TAC, it can take some time to get the necessary signatures. Furthermore, he noted, the TAC meets only quarterly. 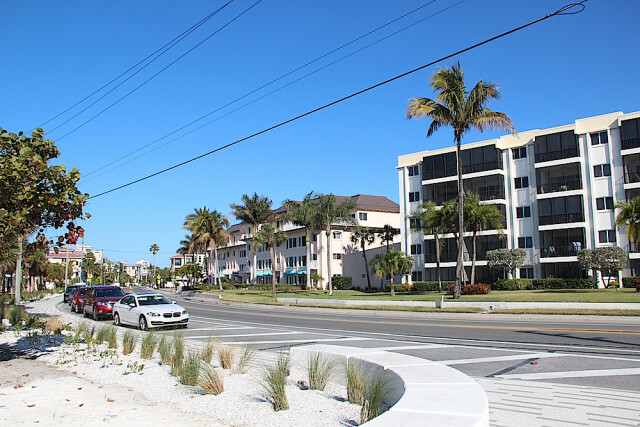 “I am really going to work on this concept of the community,” Parr told the News Leader, referring to the condominium complexes close to the beach park.